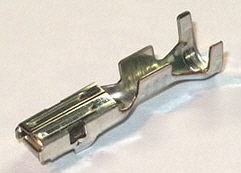 These type of connectors have complete plastic dividers between terminals making for no chance of bent terminals, no chance of wrong insertion, and ensuring no chance of shorting between terminals. 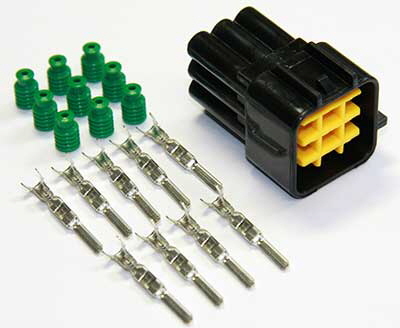 They are great for connectors which are exposed to dirt and water. 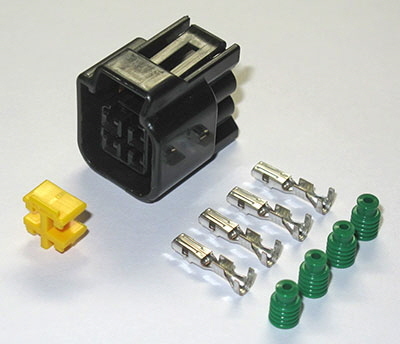 1 Position .090 Waterproof Connector Male Half. 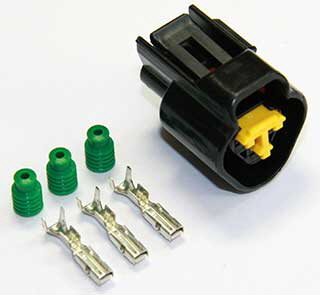 Fits wires from .5mm - 1.25mm (22 - 16 AWG). 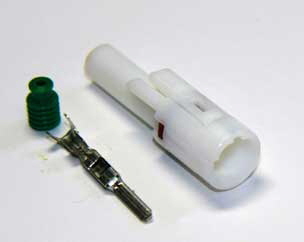 Tough plastic housing with inner seal. Seals on each wire. Complete with terminals and seals. 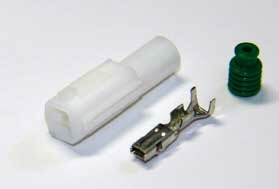 1 Position .090 Waterproof Connector Female Half. 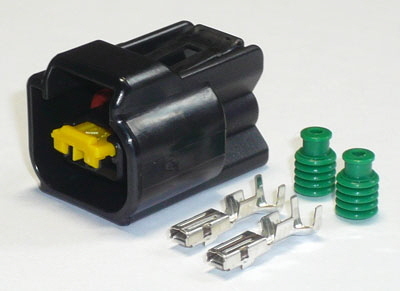 2 Position .090 Waterproof Connector Male Half. 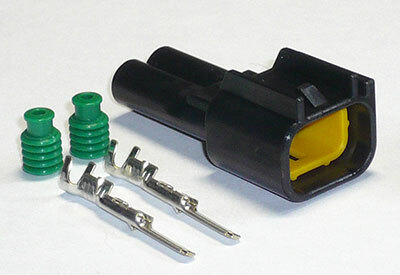 2 Position .090 Waterproof Connector Female Half. 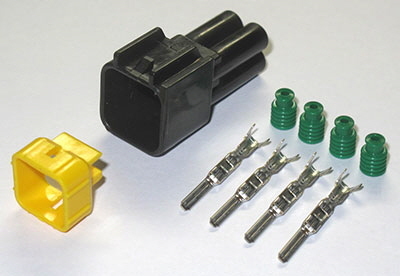 4 Position .090 Waterproof Connector Male Half. 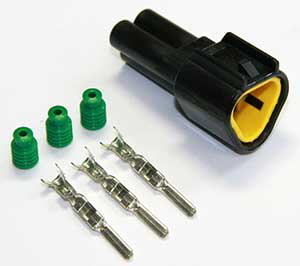 4 Position .090 Waterproof Connector Female Half. 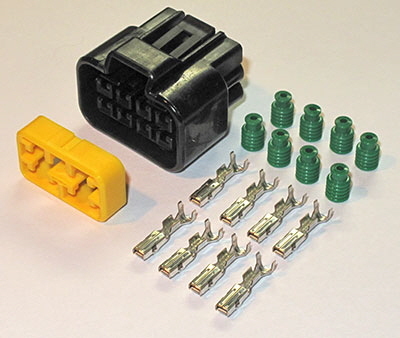 6 Position .090 Waterproof Connector Male Half. Tough plastic housing. Seals on each wire. 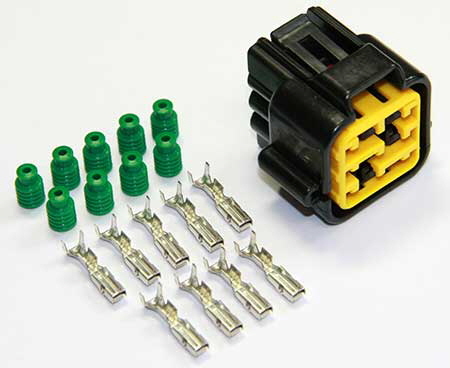 6 Position .090 Waterproof Connector Female Half. 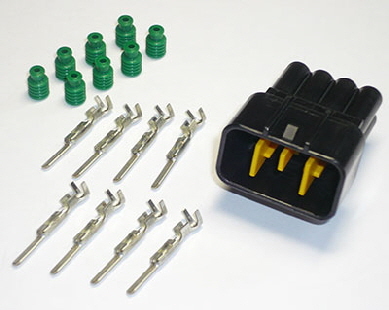 8 Position .090 Waterproof Connector Male Half. 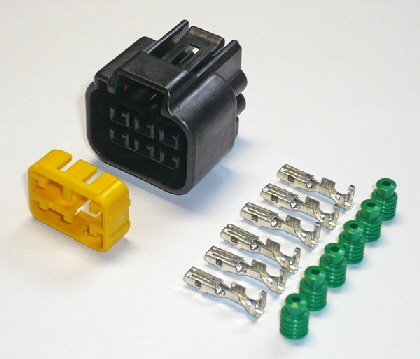 Used for ECU programming (Yosh box) on some VStroms. 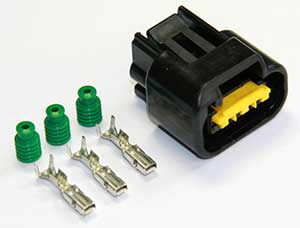 8 Position .090 Waterproof Connector Female Half. Matches above male half. Complete with terminals and seals. 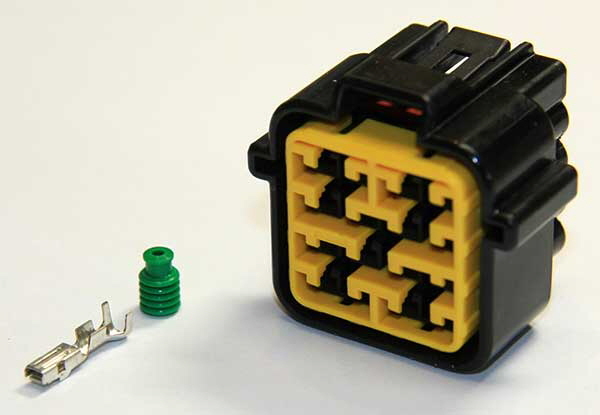 16 Position .090 Waterproof Connector Male Half. 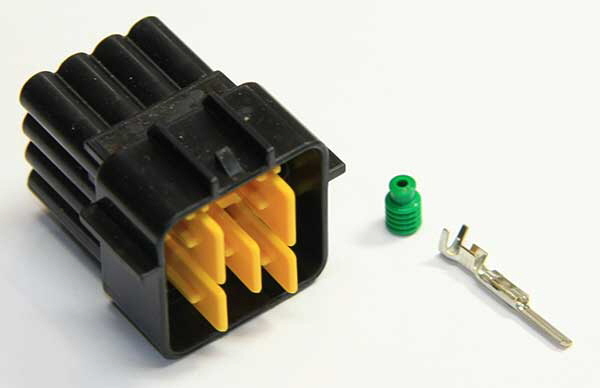 16 Position .090 Waterproof Connector Female Half. 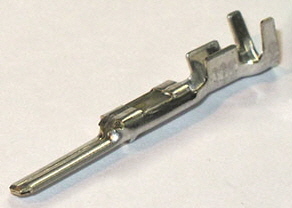 There is no male mating connector for this female. It plugs into a device. 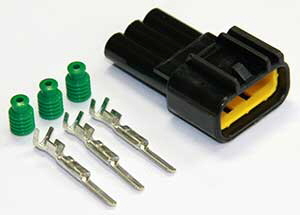 FKW .090” Connector Blanking Plug.